Into the backyard of the polar bears we go. 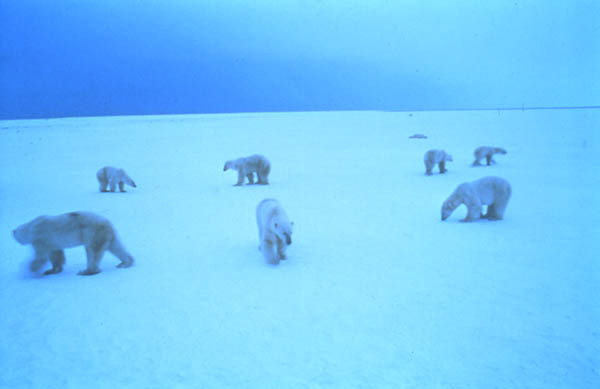 Here the restless bears congregate and wait for the freeze-up to go out on the ice to hunt seals. Most of the bears haven't eaten since they came off the ice 5 months ago. It is still a mystery how the ice-bear can survive for months without eating. Camp is set up.